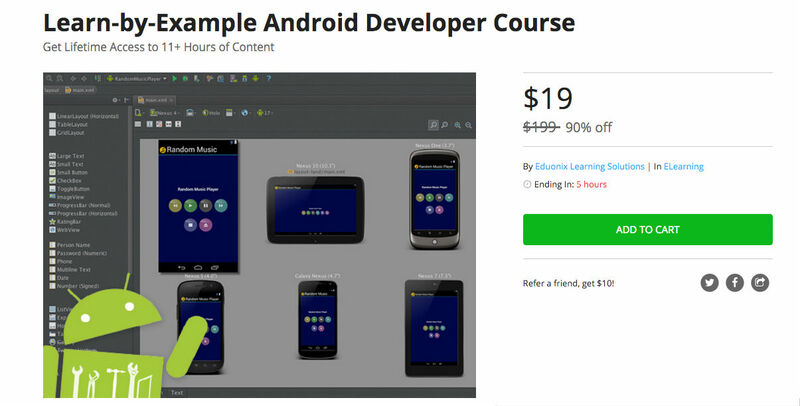 For those hoping to get into Android development, take a look at the Learn-by-Example Android Developer Course on the DL Deals Store, priced at only $19 for a limited time. Inside, buyers get lifetime access to 59 lectures that includes 11+ hours of content, which will guide you to creating 10 Android apps all on your own. During these lectures, you will learn about the API technologies that go into building Android applications, as well as utilizing these same APIs to create apps of your own. Of course, the lectures will also dive into using Android Studio, Junit testing framework, and provides royalty-free source code for you to use. If interested, follow that shiny link below.